Television as an entity is the single largest media platform followed by the internet. Advertisers or marketers look for new and improved solutions to make sure their ads reach the intended audience. Earlier with cable television advertising was very much generic as only a few targeting aspects like geographic targeting, time targeting could be done. It’s not long before all TV ads will be bought programmatically. 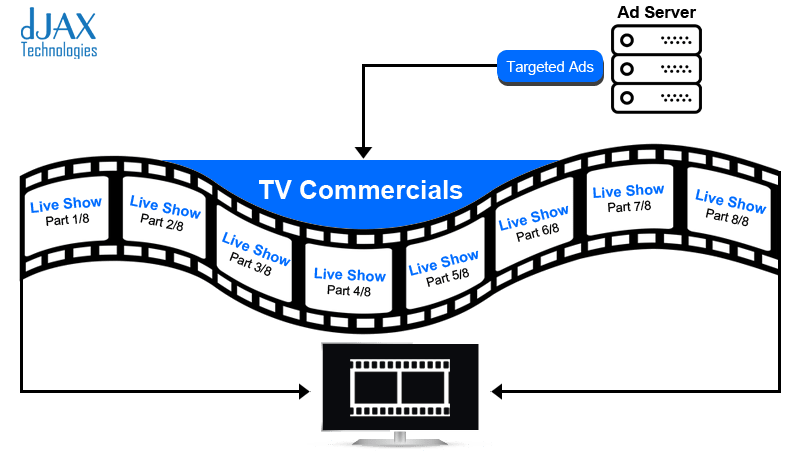 Linear TV ad inventory will be available on the open exchange, targeted to the individual, and highly measurable in its performance. Considering the rising fragmentation of audiences across channels and screens, advertisers search for ways to extend their reach and to transact TV advertising more like their digital campaigns. Programmatic TV advertising converts units to impressions, layering on data so that advertisers can buy specific audiences. Eg. Amazon fire TV, Apple TV, Roku TV..
Pay per view- Eg. Netflix, Amazon Prime movies, Hotstar.. 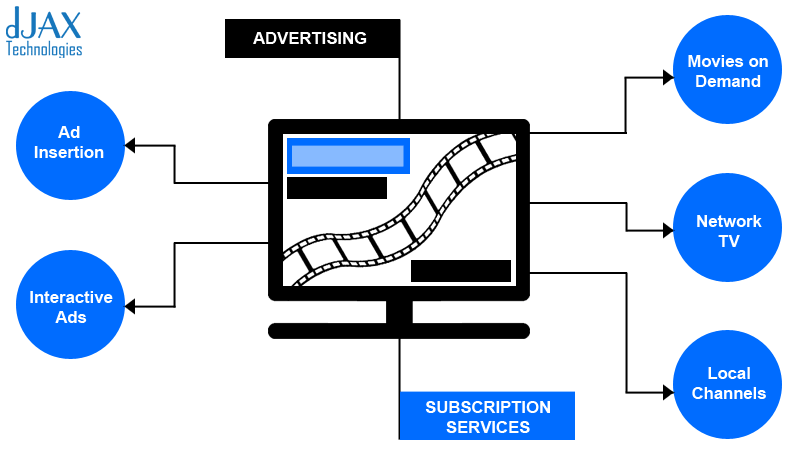 Dynamic Ad Insertion (or DAI) is a technology that allows advertisers to swap out ad creative in linear, live or video-on-demand, content. Serving the same kinds of ads to each and every consumer would not work out as the user preferences and tastes differ. Marketers tend to overcome this obstacle with the audience intelligence they acquire from various sources and parameters. For example kids related product ads are reserved for the time of the day when there would be kid’s shows or a probable time when kids would watch. This makes it easier for advertisers to leverage the in-depth audience insights that can be made available from a latest Video adserver such as the dJAX Video Adserver which can be used to target each viewer specifically and obtain data. The dynamic ad insertion takes place in real-time. Advertising is mostly what keeps the internet free. With media owners reliance on the ad revenue to support the content they create it crucial for television mediums to stay afloat. The ROI on the marketing budget would solely depend on the strategies they formulate and the conversions rather than the impressions. So from a marketer’s perspective, the dynamic ad insertion boost performance of advertisements all the while preserving the viewer experience, which would translate to a higher CPMs and an increase in revenue for media owner. It is slightly different from digital video that is accessed by millions of users on sites or apps like YouTube, Vimeo or Netflix etc. 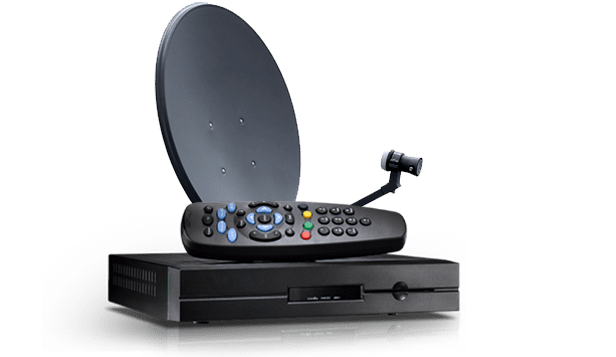 Also unlike standard cable or satellite connection, in IPTV more than one television set can use a single subscription within a home. It gives the viewers an added advantage and convenience of picking the program they want to watch whenever and wherever they feel like watching it. Apart from it Live TV shows that are being aired currently can also be viewed in it. IPTV is much almost like browsing the internet than traditional channel surfing. It uses IP (Internet Protocol) which is a delivery mechanism to deliver the content to the viewer. When the viewer clicks on any TV program or requests the video, the video from different servers are divided into data packets and sent over the internet. Video servers transmit programs through fibre-optic cable via an internet connection. 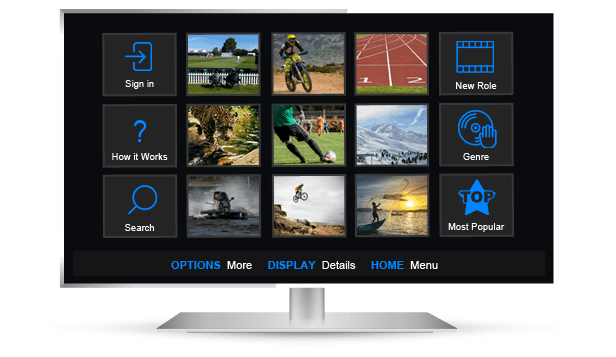 In a typical IPTV application, the content that flows from the service provider to the end user takes the form of a live broadcast video stream, an on-demand video stream or non-video interactive user elements like images, banners, EPG information, System Messages, interactive games etc. Video on Demand: It allows users to watch any movie from the VOD server’s media library. Subscribers can select individual media such as a movie or a program to watch. Time-shifted TV: Time-shifted TV allows subscribers to view live broadcasts later so they can playback and resume at their convenience. Rewind option is also provided for TV programs.